We are delighted to confirm that 169 different hot air balloons launched in the morning mass ascent on Saturday 15th September, with a total number of 201 different balloons on show, when you add in the ones that only tethered. Therefore taking the total of different balloons flying or tethering throughout the whole event to 210, which is truly incredible. The event welcomed pilots from across the world, with pilots attending from as far afield as Dubai and Alaska! Nine balloon teams from the US travelled to the event and we were honoured to welcome ballooning legend and world record holder Dr Bill Bussey and twice world champion Johnny Petrehn. 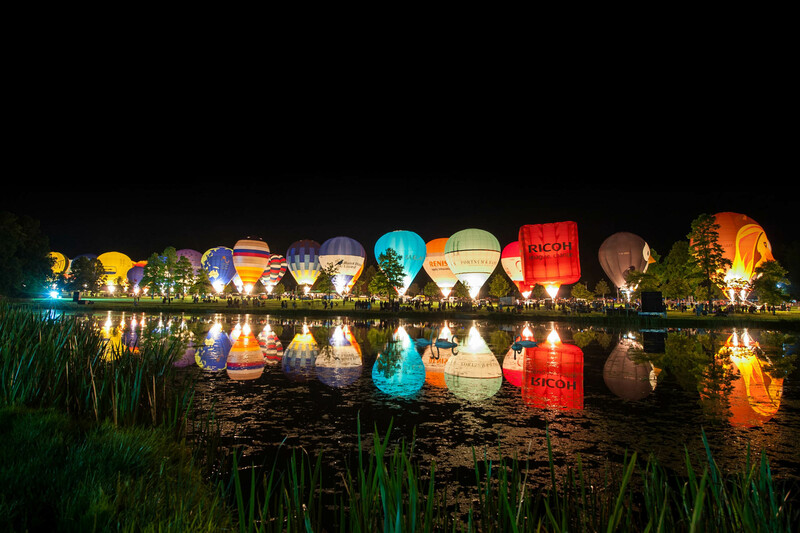 #SkySafari saw the unforgettable and never before sight of one hundred and sixty nine balloons floating over the beautiful grounds of Longleat Estate and three stunning night glows throughout the weekend. Over £40,000 worth of prizes were given to pilots and teams at the Sunday Prize Giving, ranging from computers, drones, hooverboards, iPads to a holiday in Spain and the ultimate trip to Albuquerque Balloon Fiesta in 2019. Our competition winner was Rimas Kostiuskevicius from Lithuania who won a Lindstrand NOMAD basket burner worth over £9,000! The lucky winner of our Grand Prize Draw was British pilot Ken Lowry who drove away from the event in a brand new Hyundai i10! We would like to thank Longleat for all their continued support and look forward to once again welcoming balloon teams from across the world in 2019. The 2019 event will run from Thursday 12th through Sunday 15th September with fabulous night glows on Thursday, Friday and Saturday evenings. Pilot Applications for 2019 will open at 12pm on Thursday December 27th 2018 and please check this website for updates. For ticket information as a spectator, please visit the Longleat website. The Exclusive Cup is an now an established annual event in the UK calendar, as the event for balloonists run by balloonists, with the emphasis on relaxed and fun flying in a friendly environment. For those who wish to, there is some light hearted competition flights, with prizes available. We welcome pilots from across the world and particularly welcome and encourage new and novice pilots to the event.